Defense lawyers, experienced handling criminal charges in Raleigh, tend to ask a lot of questions. We want to understand what happened and why a client was arrested or charged. A key to any defense strategy is to understand the factual basis behind the charges. 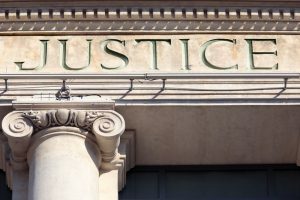 That’s especially true regarding assault charges, as the success or failure in court often involves the ability of witnesses to perceive and accurately testify about what truly happened. If you’re facing allegations of criminal charges, call our law firm now. We’re here to help! Timing can be everything in criminal defense. It’s often crucial to begin gathering evidence, including speaking to witnesses and visiting the scene when possible. That’s a perfectly reasonable question and one that we believe merits an emphatic “yes!” The fact that you’re searching online for defense attorneys is a good start. Lawyers do more than argue cases in trial or file legal motions to dismiss. We help explain the legal process to clients, helping people facing allegations of criminal charges understand the best case and worst case scenarios. Sometimes that involves taking the time to go over the Burden of Proof and what Reasonable Doubt means in criminal court. It may also involve answering inquiries about whether certain assault charges are felony or misdemeanor charges. As such, seeking legal representation is a good idea, even if you believe you’re technically guilty as charged or want to enter a guilty plea. There may be legal options available, including potential deferral programs. Each case, just like each client, is different. That’s why we want to meet you in person, to review the charging documents, the arrest paperwork, police officer reports, diagrams, drawings, and witness statements to help you decide what is in your best interests. Even in instances where there is legal culpability, it helps to have a defense attorney negotiate with the prosecutor, to lay out who you are, and why some level of consideration should be given in negotiating a plea or some other form of deferred disposition. Can I Plead not Guilty and Take My Case to Trial? Absolutely. There are plenty of times as defense attorneys we believe the State (through the prosecutor) just can’t make their case. It may because the evidence is lacking for the criminal charges. It’s also possible certain witnesses are necessary to prove the essential elements of a crime and they are unavailable. And of course, there are times when prosecuting witnesses just flat out aren’t telling the truth because they have a motive of some sort to seek a conviction. Are Assault Charges Felony or Misdemeanor in North Carolina? Again, it depends on the facts and circumstances of the case. For example, Assault on Female charges involves an assault or assault and battery on a female by a male who is 18 years old or older. Assault on a Female is a Class A1 Misdemeanor in North Carolina but also carries up to a maximum of 150 days in jail. In more than one instance, the physical act of the assault is only one aspect to consider. The injury or damages sustained by the victim in assault charges could cause a matter to develop from a misdemeanor to felony charges. That’s generally true when there are serious bodily injuries, disfigurement, or long-term harm caused as a result of an assault and battery. How is Criminal Court Scheduled in Wake County? And given the complexity of such legal issues, that’s another reason why it makes sense to talk to an experienced defense lawyer in Raleigh NC. If you Googled, “Lawyers Year Me” and have a criminal matter or some other Domestic Violence charges in Wake County, North Carolina, we’re here to help. Call now for a FREE CONSULTATION: (919) 617-7009. What is a 50B Order?